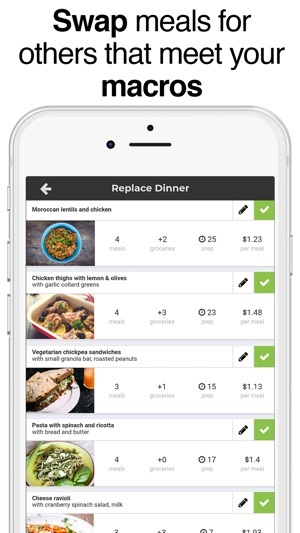 Strongr Fastr gives you a customizable weekly meal plan (with a grocery list) and a training plan that work together. Keto, paleo, veg, and vegan diets all supported. 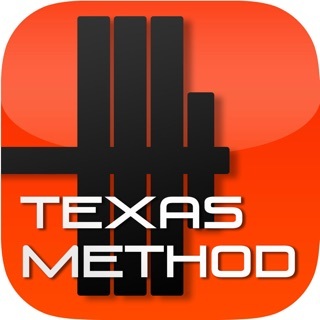 531, PHAT, PHUL, Greyskull, Texas Method, Madcow, and bodyweight routines included. If diet is 80% of achieving your fitness goals and exercise is 20%, then Strongr Fastr has you covered. It gives you a plan every day and week showing what you should eat and how you should workout to burn fat and build muscle. It's for people who want plans based on the core tenets of nutrition and training research rather than current fads and pseudo science. • Allergies: Lactose, peanuts, tree nuts, gluten, soy, eggs, and more! • Diets: Standard, Paleo, Keto, Vegetarian and more! 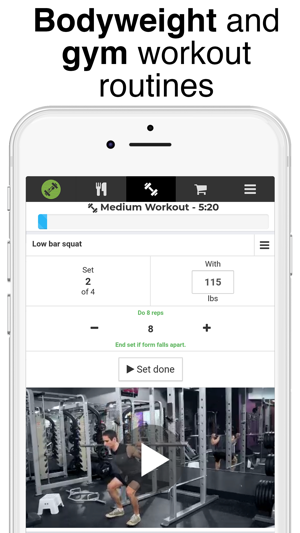 Download Strongr Fastr and try our free workouts and nutrition recommendations. 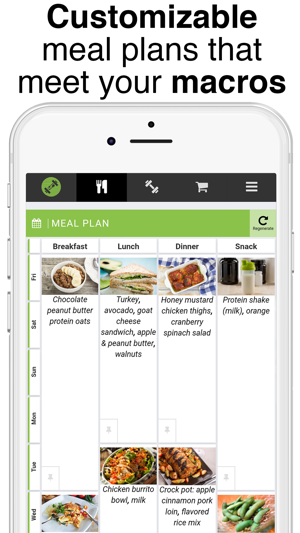 Strongr Fastr Pro includes access to the full meal planning functionality. Strongr Fastr Pro is available with a free trial and can also be purchased for 3 months, 6 months, or yearly. Payment will be charged to your iTunes Account at confirmation of purchase. Subscriptions will automatically renew at the end of the period, for the same price. You can turn off auto-renewal at any time up until 24 hours before the end of the subscription period in your account settings. When you cancel auto-renewal, access to Pro features will remain until the end of the current payment period. If you purchase a Pro subscription before the end of a free trial, any unused portion of your trial will be forfeited. Any problems or feature suggestions? Let us know! We’re good listeners. This app is great! Your asked what type of training your seeking, whether that be weight loss, muscle building, etc. and if gives you a couple workouts to pick that range from quick time saving workouts to ones that take a bit longer. You can also input your grocery budget and any dietary restrictions you may have. From that information, each day you will be given ideas for specific meals you should have. I love not having to research that stuff on my own! A huge plus! I definitely recommend this app! The app is great for its simplicity. The only thing that would make it better is Apple Health sync for people that use it. 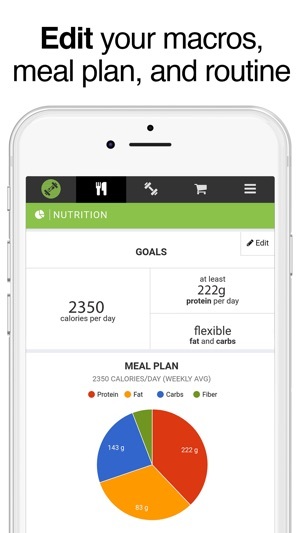 There are already great meal/calorie and weight tackers that interface with it so it could pull alnd put workout data (times, cals burned, etc. ) out letting the app focus on just being a workout log/tracker. In addition, I can schedule my work outs to cover all major muscle groups. PLUS cardio. 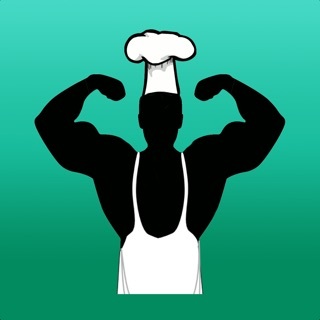 Hands down: this app may very well help me to reduce my weight to 140 lbs. I'm very motivated and excited for the future as I apply all my resources to my fitness goals. I finally found an app that can generally help me with my lifestyle goals! 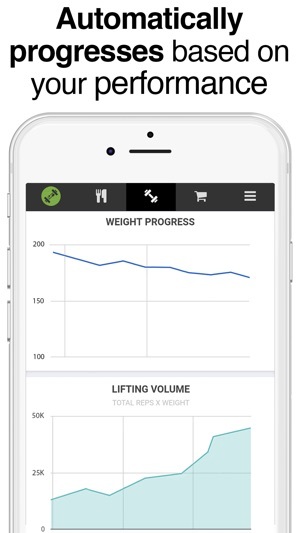 In the past I’d usually have to research the best work outs and meal plans for my body type, but now this app does all the heavy lifting for me. I always wondered a to transition into a keto diet, and I was pleasantly surprised to find out this app gives you a variety of keto meal options for the whole week. I’ll try it out for 30 days and come back to update with my results.